Since I am using the Cost Based Optimizer in Oracle (Oracle 7.3), I created the statistics needed for the optimizer with the command ‘ANALYZE TABLE’.I recently found out that since Oracle 7.4 this is not the optimal statement for creating statistics. 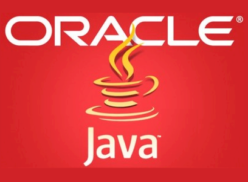 In Oracle 7.3.4 and Oracle 8.0 you should use the DBMS_UTILITY.ANALYZE_SCHEMA command. From 8i you should use the DBMS_STATS.GATHER_SCHEMA_STATS command. The analyze table can be used to create statistics for 1 table, index or cluster. clusters and indexes of a schema. so that you can forecast the optimizer behavior. 1. Create the statistics table. 3. Import statistics into the data dictionary. 4. Drop the statistics table.